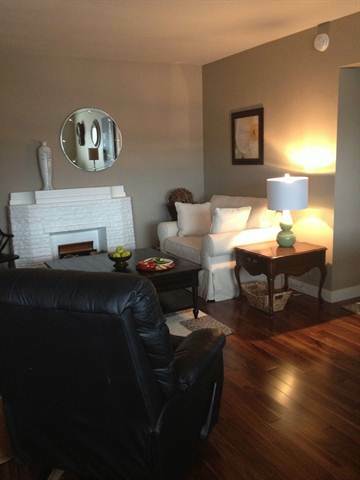 Whether you are traveling for business or pleasure, or temporarily relocating due to renovation or awaiting procession of your new home this comfortably furnished two bedroom corner condo overlooking Corydon Avenue is an ideal solution for extended stays of a month, or longer. Located in a well-maintained secure building and conveniently located across the hall from a coin-operated laundry room and elevator it is well within walking distance to major public transit routes, shopping, fine dining establishments, art galleries, Osborne Street Village, parks, and downtown. This well-appointed two-bedroom condo has it all! Being away from home is hard enough, so subsequently this condo has been prepared with your comfort in mind. Homely, yet chic it will feel like a second home. Tailored to the needs of the long stay resident this stylishly decorated condo offers carpets in the bedrooms and a tiled kitchen and bathroom. The spacious L-shaped dining and living room feature hardwood flooring, comfortable sitting areas, a flat-screen TV, a writing desk, and high-speed Internet. The modern kitchen features stainless steel appliances, including microwave and dishwasher, granite countertops, and wood cabinets. The master bedroom offers a queen sized bed with high thread count sheets. Bedding, linens, necessary paper products, laundry detergent, dish soap, etc. are provided. In addition, basic food staples are available for your use.